Ten-year-old Mukta’s life changes when she is rescued from her village and taken to Mumbai by Ashok, the village zamindar’s son. Ashok gives Mukta a home, much against the wishes of his wife. Ten-year-old Mukta,destined to be a temple prostitute, finds a friend in Ashok’s eight-year-old daughter, Tara. And together, the girls look at the ever-changing sky, finding their ray of hope. The events of 1993 cast their shadow on the girls’ blissful existence, with Mukta being kidnapped and Tara moving to America, after losing her mother in the riots. Guilt, memories and the need for redemption, brings Tara back to India and her search for Mukta leads her into the murky world of human trafficking. Poignantly written, Amita Trasi’s debut novel reaches out and tugs at the heart. The characters are well portrayed and Amita weaves a heart-wrenching narrative. Her use of analogies, relating to the sky, colour the plot proficiently. Sometimes, the narrative seems languorous and tedious, but that is something that can be sorted out with skillful editing. Amita’s writing style is impressive and we look forward to her next. A brief but meaningful review. I love the quoted lines that capture the reader. The story premise is real and true to life. Thank you. 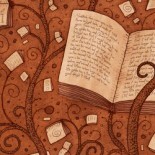 We try our best to give a meaningful review without giving away the entire story. 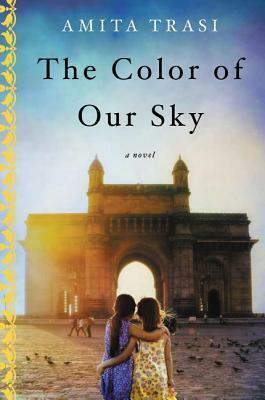 This entry was posted on May 25, 2017 by artikabakshi in Book Reviews, Contemporary, Fiction, Indian and tagged Amita Trasi, Indian Author, The Color of Our Sky.